Șterge datele de pe hard disk sau mass-media de stocare permanent. 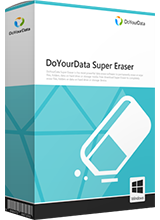 DoYourData Super Eraser oferă un sigur ștergerea datelor soluție pentru a șterge definitiv datele de pe hard disk sau pe suportul de stocare. Acesta vă permite să ștergeți fișiere/foldere, șterge întreaga unitate de hard disk/dispozitiv. De asemenea, poate șterge spațiu nefolosit pe disc pentru a șterge permanent șterse/date pierdute de pe hard disk. Any developer of sanitising software whose technology includes "Peter Gutmann's algorithm" has me running for the hills: Gutmann himself long since disowned the very thing Super Eraser proclaims on its website -- begging the question: just how competent is today's developer in this specialist field? 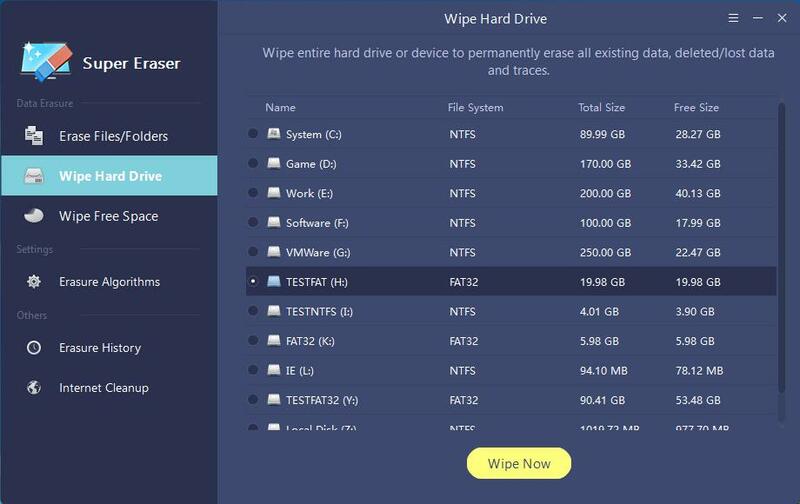 It's not a question that gets a convincing answer on that website, and particularly in regard to the wiping /erasing of the content of SSDs: for all I know, Super Eraser 5.1 treats an SSD like a conventional HDD, and I'd be hesitant about advising anyone to go blithely ahead and do that. 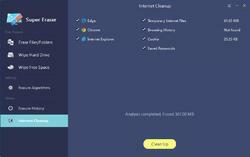 It's a glowing eulogy to, er, the rival product CCleaner Free. But the screenshots are all of . . . Super Eraser. That does not, of course, mean CCleaner Free rules supreme, though at $00.00 compared to Super Eraser's retail $19.50 it's certainly a bargain. 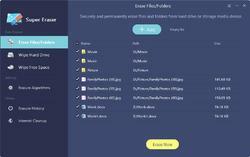 The truth is, there's a wide selection of data erasing freeware out there, with Eraser (to cite just one example) being a darn sight quicker to use than the clunky CCleaner "customized" process for dealing with specific files or folders. Shredders, then, exist in abundance, both free and paid-for. On which basis, Super Eraser 5.1 must presumably have some kind of unique selling point, some aspect or aspects which distinguish it from the rest of the herd. Sadly, I haven't found it. Thanks then, DoYourData and GOTD, but no thanks. Any developer of sanitising software whose technology includes <i>"Peter Gutmann's algorithm" </i> has me running for the hills: Gutmann himself long since disowned the very thing Super Eraser proclaims on its website -- begging the question: just how competent is today's developer in this specialist field? It's not a question that gets a convincing answer on that website, and particularly in regard to the wiping /erasing of the content of SSDs: for all I know, Super Eraser 5.1 treats an SSD like a conventional HDD, and I'd be hesitant about advising anyone to go blithely ahead and do that. 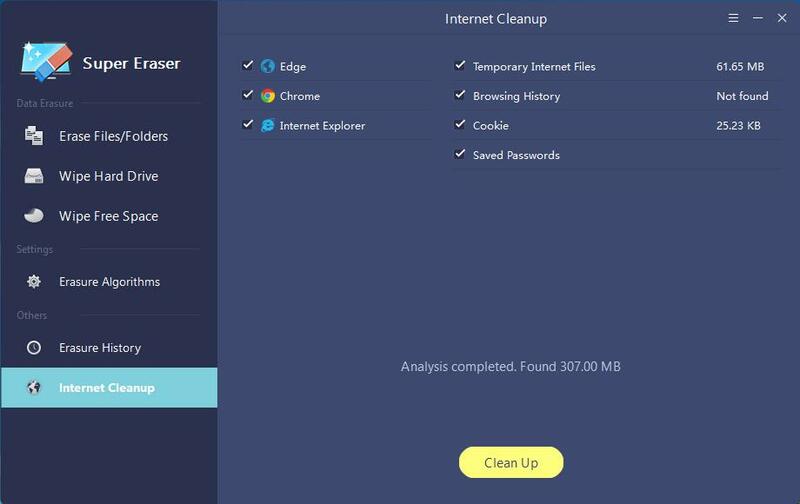 But what really leaves me baffled about DoYourData and its product is this section from the developer's website: <b>https://www.doyourdata.com/erase-data/ccleaner-data-erasure.html</b> It's a glowing eulogy to, er, the rival product <b>CCleaner Free. </b> But the screenshots are all of . . . Super Eraser. As to CCleaner Free, <b>Options / Settings</b> provides for <i>Normal file deletion (faster)</i> or <i>Secure file deletion (slower),</i> this latter with choices of: <i>Simple Overwrite (1 pass), Advanced Overwrite (3 passes), Complex Overwrite (7 passes)</i> and the wholly-unnecessary-but-will-please-the-paranoid <i>Very Complex Overwrite (35 passes). 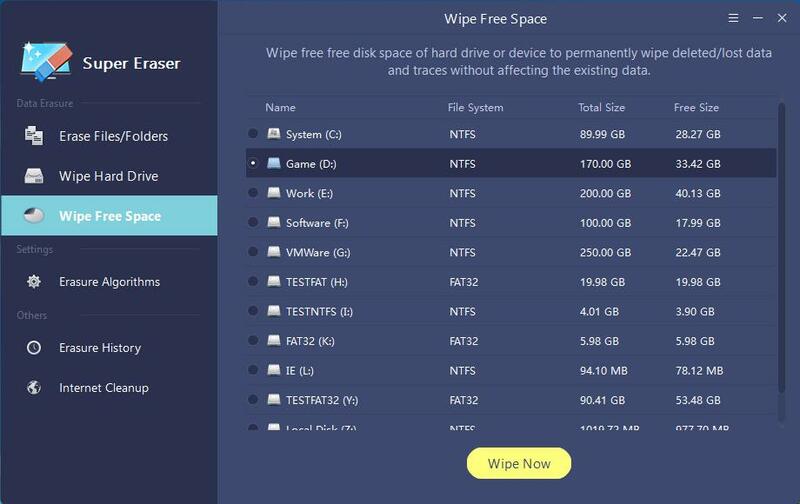 </i> Options to <i>Wipe Alternate Data Streams</i> and <i>Wipe Cluster Tips</i> are also offered, as well as <i>Wipe Free Space drives</i> That does not, of course, mean CCleaner Free rules supreme, though at $00.00 compared to Super Eraser's retail $19.50 it's certainly a bargain. 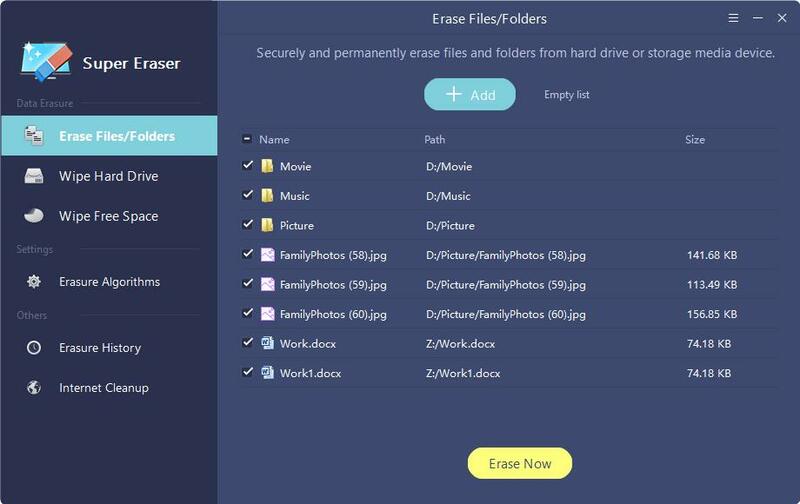 The truth is, there's a wide selection of data erasing freeware out there, with <b>Eraser </b> (to cite just one example) being a darn sight quicker to use than the clunky CCleaner "customized" process for dealing with specific files or folders. Shredders, then, exist in abundance, both free and paid-for. On which basis, Super Eraser 5.1 must presumably have some kind of unique selling point, some aspect or aspects which distinguish it from the rest of the herd. Sadly, I haven't found it. Thanks then, DoYourData and GOTD, but no thanks. MikeR, It looks like the web page you point out that proclaims CCleaner as what is being promoted but all downloads are for their product as well as the screenshots they also include CCleaner in the pages keywords metadata... To me that looks like a deception to deceive search visitors looking for CCleaner into downloading and installing and hopefully buying THEIR product and not CCleaner that they were after! As far as I am concerned that is digital fraud and links.giveawayoftheday.com should downgrade the trustworthyness rating for that site from "Unknown" to "Poor" or "Low". It is a dispicable practice!